Despite heavy overcast and a significant threat of rain, 21 drivers came out to the McCarty Avenue parking lot for the second Hudson-Champlain auto-cross of 2016. Car models included 356, 944, 993, 996, 997, Caymans, Boxsters, and others (yes, we welcome all demonimations). Matt Rutten and his crew of volunteers (Al Harper, John Pellerin, and Audrey Engelsberg) setup a 1/3 mile course to challenge the car control skills of our drivers. Timm Baldauf provided safety support, completing tech inspection on all cars prior to the drivers meeting and Jeff Markussen provided timing and stats support for the day. Run group one had a dry morning session. Run group two had to brave wet conditions when it started to rain about 1130. Fortunately the rain only lasted about 30 minutes and we had dry conditions for the remainder of the day. 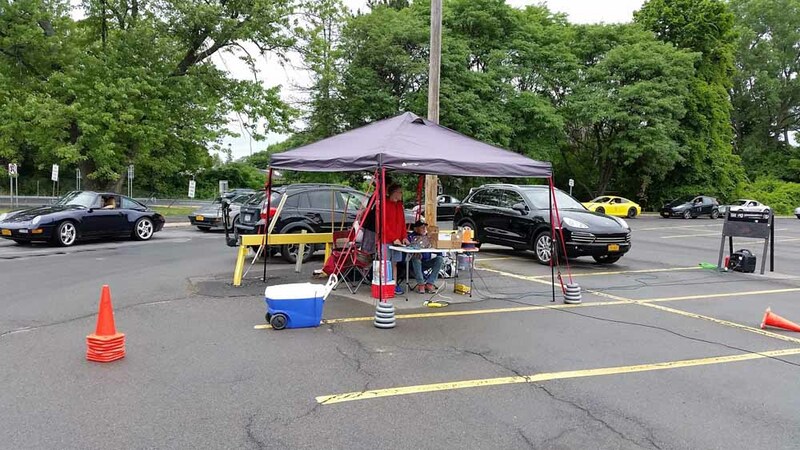 There were 3 instructors available (Andy Dorman, Aaron Ambrosino, and Al Harper) to work with drivers upon request, they were quite busy for most of the morning. 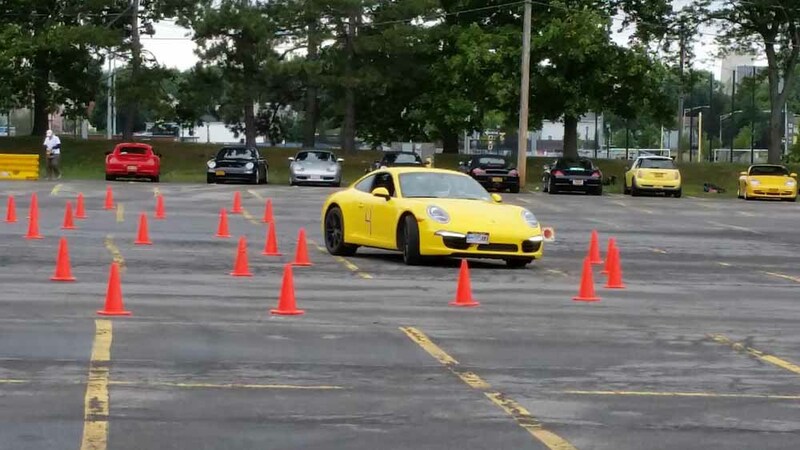 All drivers successfully completed the course multiple times during the day, though there were many ‘incidents’ involving some poor innocent cones. In the end, it was Jim Morgan (yes, El-presidente himself) who posted the fastest time for the day. 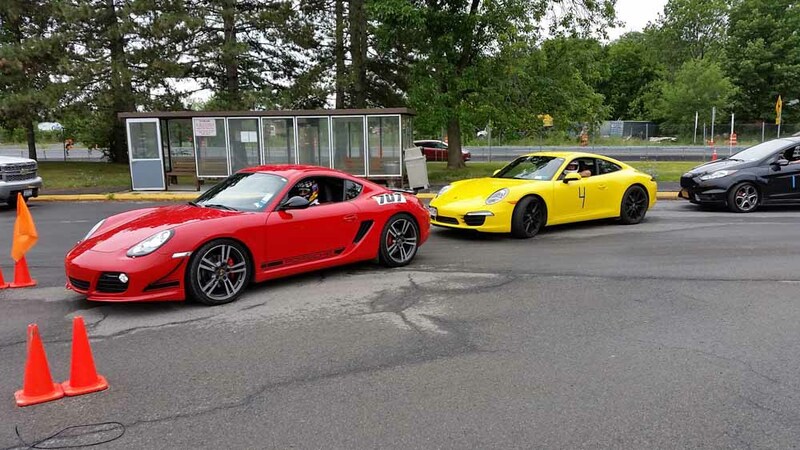 Thanks to all for your participation and help making this our July Autocross a success. 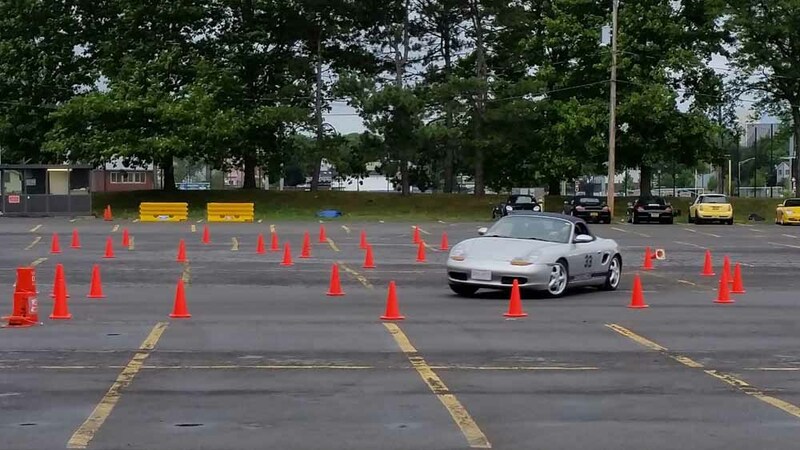 Photos and post by autocross chair Matt Rutten. 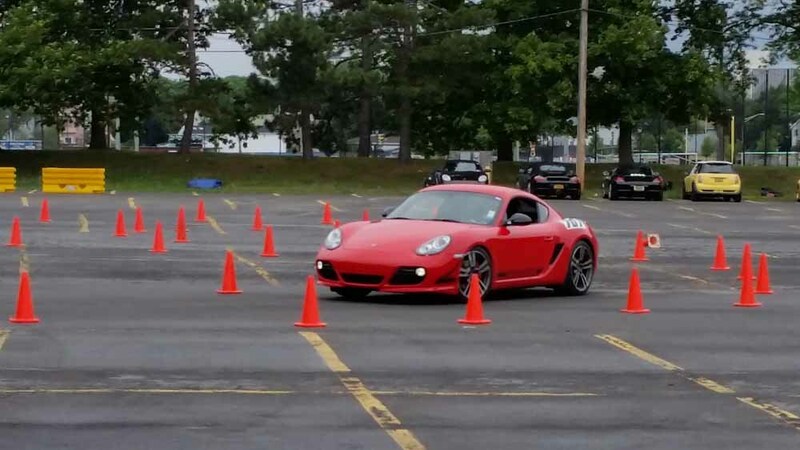 This entry was posted in Autocross - Driver Education - Track and tagged featured. Bookmark the permalink.